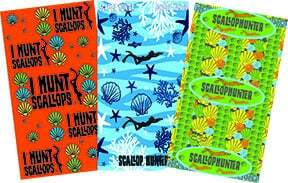 Scalloping buffs are the Ultimate in Sun and head protection! Protect you hair from getting tangled in your mask and floating in your face. Protect your head, neck and scalp from sunburn while snorkeling in the water. Click here to order or see more! Click to order or see more!